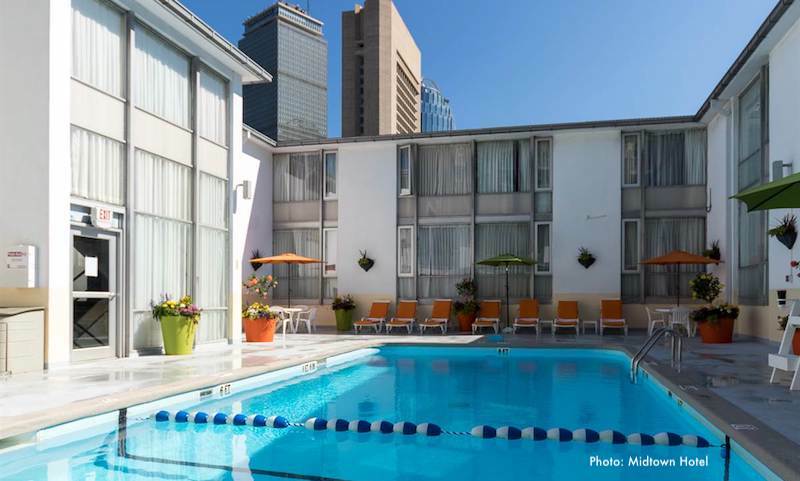 Inexpensive Boston hotels can save you a ton of money - and still give you a high-quality vacation and travel experience in the city's best neighborhoods. Boston hotel rates routinely rank as the highest in the U.S. - even ahead of New York, LA, and San Francisco. Fortunately, you can find bargain hotels right in the heart of the city ... if you know where to look. 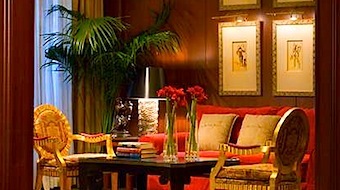 In addition, you can use seasonal deals to get even more savings, sometimes at the city's most expensive hotels. Our insider tips tell you where you'll find the best cheap hotels in Boston's top neighborhoods, special deals and packages on higher-priced hotels, and other affordable accommodations - WITHOUT giving up the convenience of a central Boston location. Plus, find out how to save a bundle on hotel parking, and where to find convenient suburban Boston hotels offering even bigger savings. Finding inexpensive Boston hotel rates can be a challenge - so find out how you can save hundreds of dollars. When you want a cheap (for Boston) hotel in a great neighborhood, the following five hotels are the first places to look for reservations. 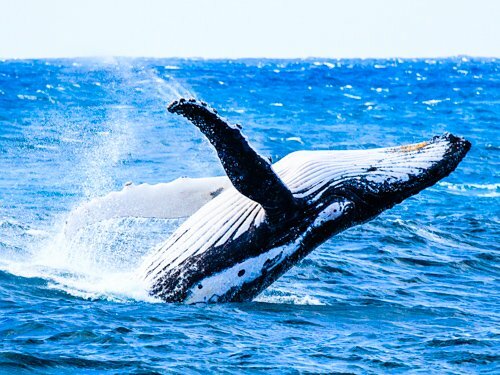 Each hotel does come with a "catch" - but don't worry. We'll tell you what it is, and you can decide if it works for you. These hotels almost always offer some of the lowest rates in town - and you'll love staying in these exciting central locations. Yotel Boston offers something different: luxurious but super-compact rooms combined with a club-like lounge, a rooftop terrace with a restaurant and bar, and an excellent location in the heart of the Seaport district of the South Boston Waterfront. Since the hotel is directly across from the MBTA's Silver Line Courthouse stop, you can easily take the "T" directly to and from the airport - or opt for a water taxi. The catch: The smallest rooms are indeed small - Yotel calls them "cabins" designed to give guests "everything they need and nothing they don't." 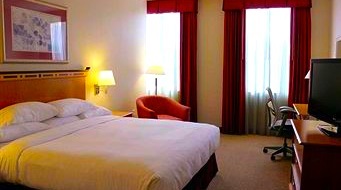 But you'll love the very affordable price - especially compared with other rates at nearby hotels. The new Revolution Hotel in the trendy South End continues the trend of combining "micro" guest rooms for 1-4 people with a cool vibe, free amenities such as high speed wifi and a comfortable coworking space dubbed "Conspire," and very low (for Boston) rates. 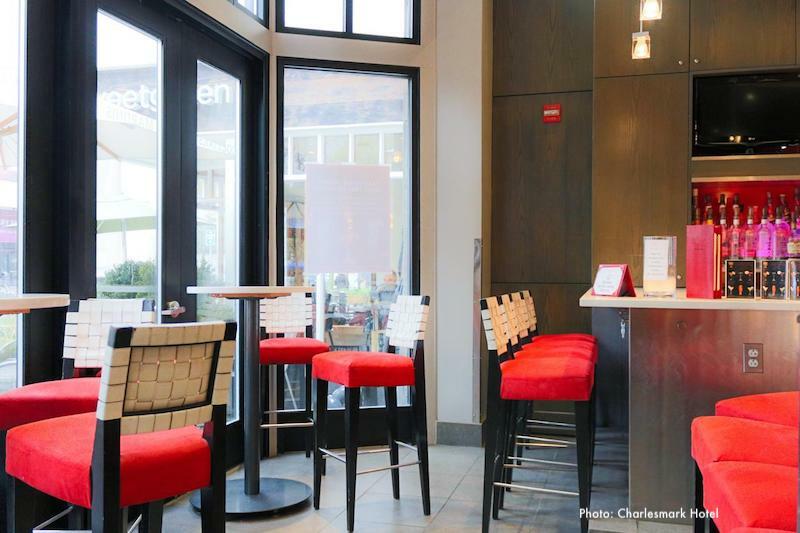 You'll also like the onsite bistro/cafe with outdoor seating options for warmer weather. The result? The Revolution is one of Boston's most attractive affordable hotels, especially considering its close distance (5-10 minute walk, depending on where you're going) to Downtown Boston. The catch? The cheapest guestrooms share bathrooms accessed via the hall rather than en suites. But if that's not your thing, pay a little more for a bathroom in your room and you'll still get cheaper rates than in other nearby hotels. 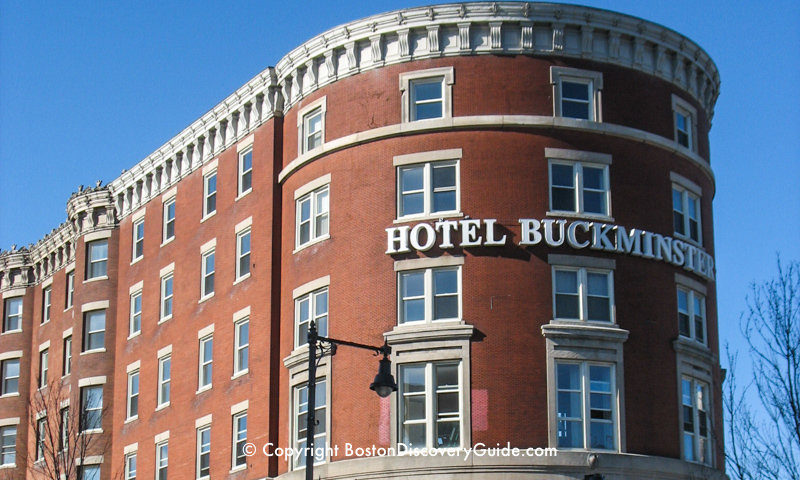 If you're looking for a cheap but comfortable hotel near Fenway Park or Boston University, the Buckminster can't be beat! The catch: Furnishings are comfortable rather than elegant. Don't expect designer linens or fancy soaps. But you can't beat the location half a block from Fenway Park - or the cheap rates. The Buckminster ranks as one of Boston's true bargain hotels - except for game and concert nights at Fenway, when you can expect rates to be higher. 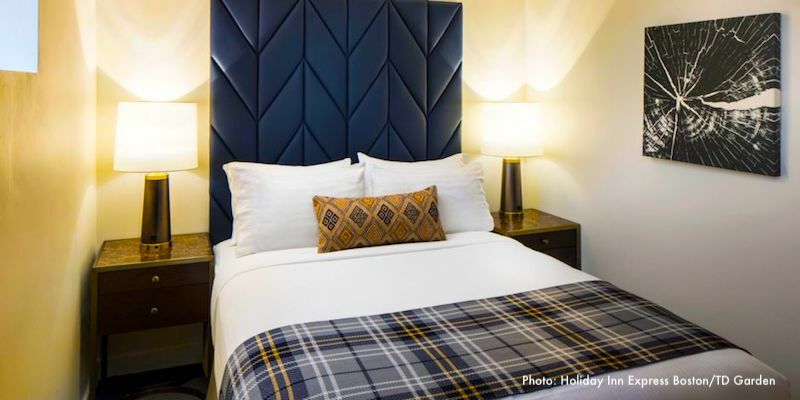 The Charlesmark Hotel offers a superb Copley Square location opposite the Boston Marathon finish line, gorgeous high-end custom furnishings, and lots of luxe touches - and great rates! So what's the "catch"? Size and popularity ... wit h only 33 rooms, this sought-after owner-operated boutique hotel is often fully booked! So if you want to stay at the Charlesmark, you need to be very aggressive about booking as early as possible. The small, contemporary boutique Hotel 140 occupies part of Boston's elegant former YWCA building, built in 1929 and now on the National Register of Historic Places. You get an excellent Back Bay location. Hotel 140 is directly across from I.M. Pei's soaring glass-sided John Hancock Tower, and only one short block from magnificent Copley Square. 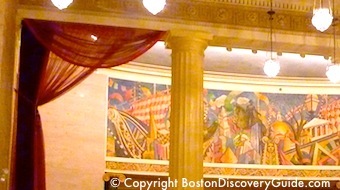 The hotel is also near the Back Bay Amtrak/Subway station, the South End, and the Theatre District. The catch: Rooms tend to be small and basic (large and luxe would mean much higher rates in this location) but the grand lobby and staircase will take you back in time to the glamorous roaring twenties. There is one problem ... lots of bargain travelers know about this gem, so getting reservations can be tough - book as far ahead as possible. Sporting the architectural design of a 1950s Boston motel (which is what basically what it is), the popular Midtown Hotel offers a small outdoor pool and a great Back Bay location just down the street from the much swankier Colonnade Hotel. The catch: Decor could use a major overhaul. Don't expect fancy linens. The Midtown is the closest hotel to cultural magnets such as Symphony Hall and Jordan Hall. It's also convenient to the Museum of Fine Arts and Prudential Center. Boston Insider Tip: Why So Cheap? 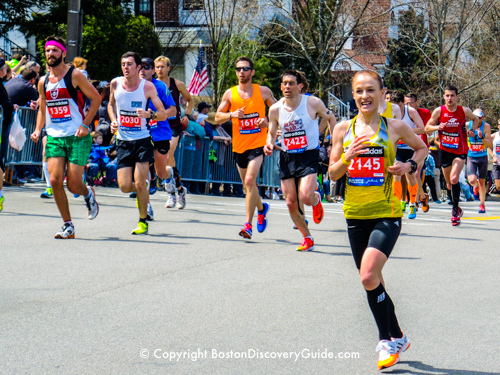 You may be wondering what you give up in return for cheap Boston hotel rates. Convenience? Safety? Comfort? Correct answer is: amenities. 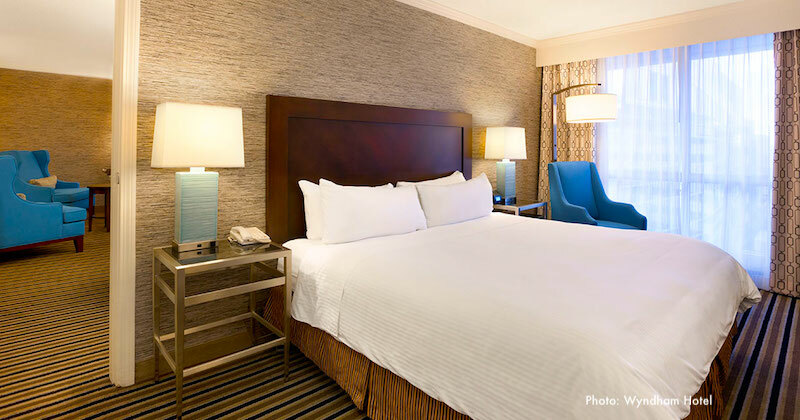 Boston's centrally-located inexpensive hotels tend to be small - so no amenities such as conference facilities, high-end onsite restaurants, or big meeting rooms. Also, the furnishings may be kind of blah . . . older furniture, dated color schemes, and older TVs rather than high definition flat screens. Don't look for designer linens on the beds. Bottom line? If you can live without fancy shampoos and Italian sheets, you can save significant money. The following 3 hotels are NOT for everyone. But if they meet your needs and the rates compare well with other options, you may find a big bargain. Read the reviews carefully to make sure they're a good fit for you. At certain times of the year, you can find amazingly low rates (for Boston) at each of them. Located in the heart of Boston's downtown Financial District near the Freedom Trail, Boston Harbor waterfront, and Faneuil Hall, Club Quarters is a "private" hotel - there's no lobby and you must have a key to get in. Club Quarters targets business travelers, but also works well for 1 or 2 leisure travelers. You can't beat the location! The catch: This small but extremely popular boutique hotel is often fully booked well in advance due to its excellent location and club-like ambiance (and cheap rates), especially during the week. 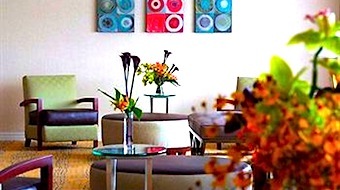 And if you need front desk services or an onsite concierge, Club Quarters will not be the hotel for you. Visitors love or hate the Found Hotel. Built in 1877, it has a terrific location at the edge of the Theatre District and near Boston Common, close to many wonderful restaurants. It's a throwback to an earlier period. The catch: Most rooms are small and basic. Some rooms have been renovated; others need updated furnishings and decor. Service gets mixed reviews. If you like luxury touches or concierge service, you should stay elsewhere. However, if you want a convenient location and truly don't care about aesthetics or amenities, you'll love Found Hotel's bargain rates and homey feeling. Holiday Inn Express offers a terrific location near TD Garden, Faneuil Hall Market, Beacon Hill, and the North End. You'll also find lots of fun Irish pubs and sports bars nearby. The catch: When the Bruins and Celtics play at the Garden, rates go up and the hotel books up fast. If you're not there because you're going to a game, you may not appreciate all the celebrating in the street, although the hotel has improved its soundproofing. Boston hotel rates vary for so many reasons. Time of the year and day of the week top the list. For example, you'll almost always find better rates during January than July. But occasionally, you can find bargain rates at mid-range hotels that are as low or lower than what you might find at inexpensive Boston hotels. Feeling lucky? Check rates for these very nice hotels in great locations where spending an extra 5 minutes looking for deals & discounts can sometimes give you a HUGE payback. 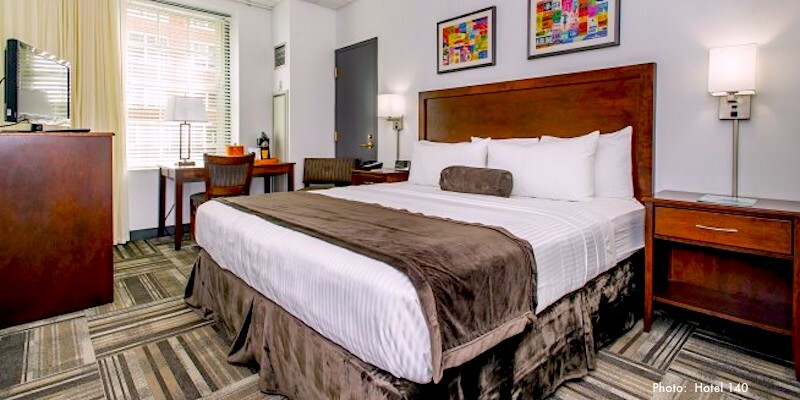 Across the street from MGH (Massachusetts General Hospital) and Beacon Hill, and just a short walk from TD Garden where the Bruins and Celtics play, the Wyndham offers an excellent location for reasonable rates. But discounts and specials on the rooms and suitescan sometimes really sweeten the deal. And the outdoor deck-top swimming pool is a huge bonus! 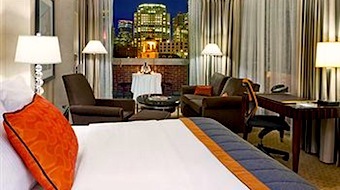 Located in Downtown Boston next to Faneuil Hall Marketplace, the luxe Bostonian Boston Hotel puts you close to everything: historic sites along the Freedom Trail, sightseeing cruises departing from the waterfront, wonderful restaurants and nightlife. Find a cheap rate here? Grab it! 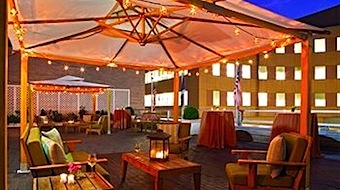 Great location across from Tufts Medical Center on the edge of the Theatre District and Chinatown. You'll enjoy dining in the wonderful Chinese and other Asian restaurants nearby, and exploring the Rose Kennedy Greenway. The Downtown Doubletree caters to business travelers, so you can sometimes find very attractive rates, especially on weekends. Marriott's Courtyard Tremont offers a terrific Theatre District location right down the street from the glitzier (and considerably pricier) W Hotel. Public areas in this historic 1925 building have been restored to their former grandeur (that's a detail from the lobby in the photo). With 15 floors and 315 rooms, the Courtyard Tremont is larger than you may realize at first glance. One of Boston's biggest dance clubs occupies space on lower floors at the back of the hotel, and Tremont Street itself can be loud at times - so ask for an interior room on an upper floor if you want to minimize noise. 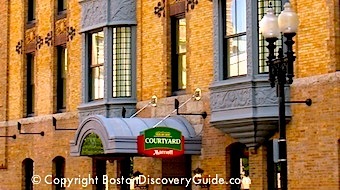 Tucked away in a gorgeous 1800s building on a quite side street in the trendy Back Bay neighborhood, the Courtyard Copley Square, a small boutique hotel that's part of the Marriott brand, is just around the corner from Copley Square, one of the city's loveliest plazas. You'll be near the city's best restaurants and shopping, and you can walk to most major attractions. The huge 500+ room Hyatt Regency's location in the middle of the Theatre District and Chinatown is also near the Financial District, making the hotel popular with business and vacation travelers. The indoor lap pool and outdoor terraces are a nice plus. Normally, rates are what you might expect for a high-end business hotel - but at some times of the year, you can find deals here - so it's always smart to check. The Hilton Boston Downtown/Faneuil Hall's downtown location puts it only a few blocks from the waterfront. 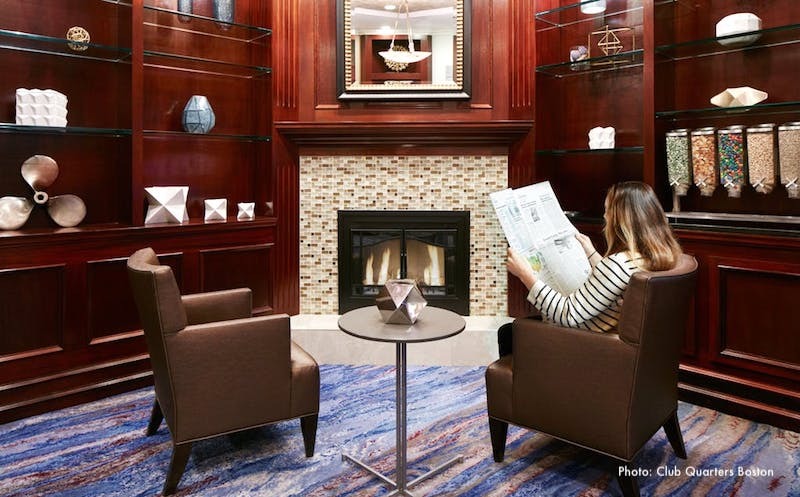 Weekday rates at this popular near-luxe business hotel tend to be high, but look for bargains on the weekend when savvy leisure travelers get to enjoy all the amenities, including larger than average (for Boston) rooms and gorgeous public spaces. The Boston Marriott Copley Place is a gorgeous modern hotel in an excellent Back Bay location across from Prudential Center. I'm always surprised when I see relatively low rates, because there's no obvious reason why you would get such a bargain here. During big conferences here, rates will be higher and the hotel may be fully booked - so there are no guarantees. But always check rates here, because sometimes . . . you may find a bargain! Cheap Rates at Boston's Top Hotels? At certain times of the year, such as Labor Day weekend when everyone heads to the beach for the last days of summer, almost every hotel on the city is on sale. If your timing is right, you can sometimes find amazing rates at some of Boston's best hotels, such as the Park Plaza Hotel Boston, the Lenox Hotel, and the Omni Parker Hotel. Why? These are older (but beautifully renovated) hotels, with wide ranges of room sizes - no cookie-cutter rooms here! You'll sometimes find the smaller rooms at a BIG discount - sometimes at rates even lower than what you'd normally expect at Boston discount hotels. Can You Save at Hotels Outside of Boston? Yes, sometimes you can save a lot - but be careful not to choose a hotel outside the city that puts you far away from public transportation such as the subway. Otherwise, almost every penny you hoped to save will be eaten up by the time and cost of driving into Boston and paying high parking fees. See our recommendations for how and where to save at hotels outside of Boston but close to subway stations. Many Boston hotels are now charging over $50 per day for parking - yes, that's over $50 plus tax that gets added to your hotel bill each day. If you find a great rate of, say, $180 per night at a Boston hotel but have to pay another $50 for parking . . . well, do the math and you'll see the real cost for a night's stay. Leaving your car at home is a no-brainer way to save almost 25% on your total hotel bill. You do not need a car in central Boston because you can easily take the subway ("T"), a cab, or car service such as Uber or Lyft. In fact, a car is a liability - just read our tips about driving in Boston to see why! 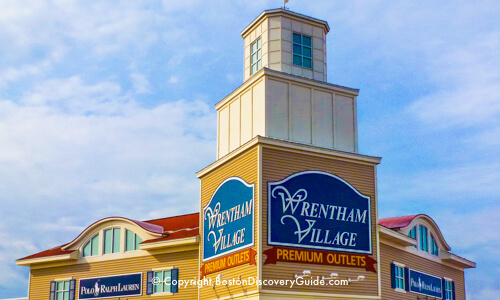 If you are planning a day trip outside Boston during your visit, you can rent a car for the day - much cheaper! But what if you're planning to drive to Boston, and taking a plane, train, or bus simply doesn't work for you? If you're planning to be here for 7 days or less, park at one of the T stations that allow overnight parking (find a list at the MBTA's website by clicking on "parking"). Park your car in the lot (in at least some lots, you'll need to arrive either before about 7:30am or after about 6pm to find a space), grab your suitcase, and take the T to your hotel. Or, if you're traveling with your family or friends, drive first to your hotel and drop off them and all of the luggage. Then drive to the T station, park, and take the T luggage-free. You'll have to pay for the overnight parking (about $15 at most stations) and of course your T ticket (around $3 each way) - but you'll still save a bundle. Plus, parking at the station and taking the T to your hotel will probably be faster and easier than driving in the city. 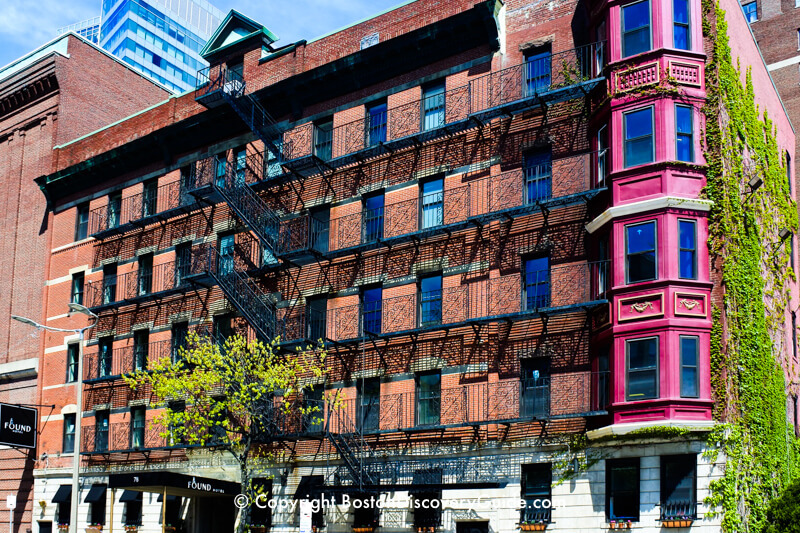 Are even the inexpensive Boston hotels pricier than your budget permits? Guest Houses - These are more like small furnished apartments than hotels. Rates are usually somewhat lower than most hotels - you won't save a lot of money, but everything helps! They're also good options if you're staying for several weeks or months. Try Copley House for nice studios and 1-bedroom apartments in a lovely location on the Back Bay - South End border.